This spacious 3 bedroom 2 and 1/2 bath luxury condominium is located on the fourth floor and offers a beautiful ocean view from its private terrace that overlooks the north side of Jaco Beach. You will be delighted by the resort style living at Bahia Encantada, having a cocktail at the ocean front pool bar or tanning with your friends in front of the surf. 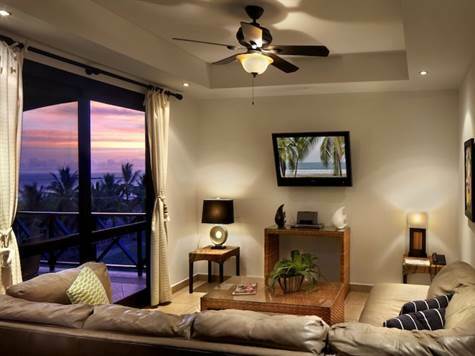 Bahia Encantada is ideally located within walking distance to all the restaurants, shops, and nightlife of Jaco Beach. The condo is being sold completely furnished and turnkey. This is an excellent income generating property with established client base. Professional property management, and marketing system already in place with proven income from vacation rental business.